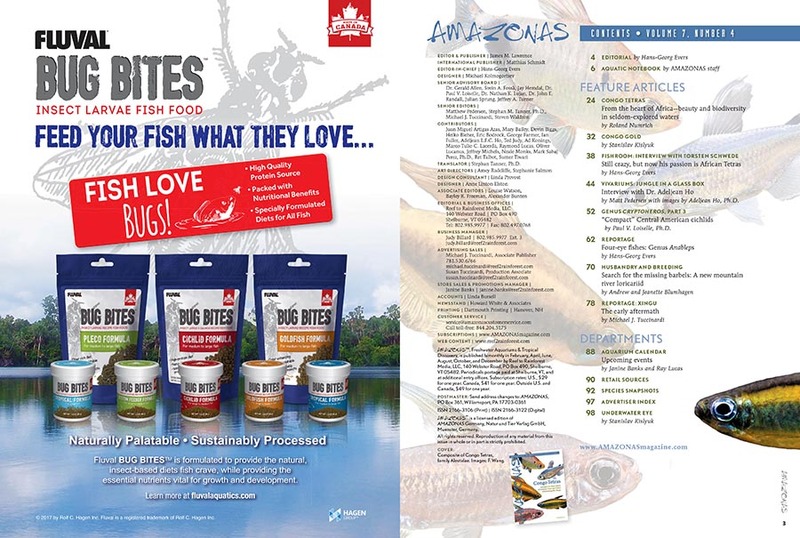 AMAZONAS Magazine, Volume 7, Number 4, CONGO TETRAS, offers advice on the care and breeding of both classic and new species from Central Africa. 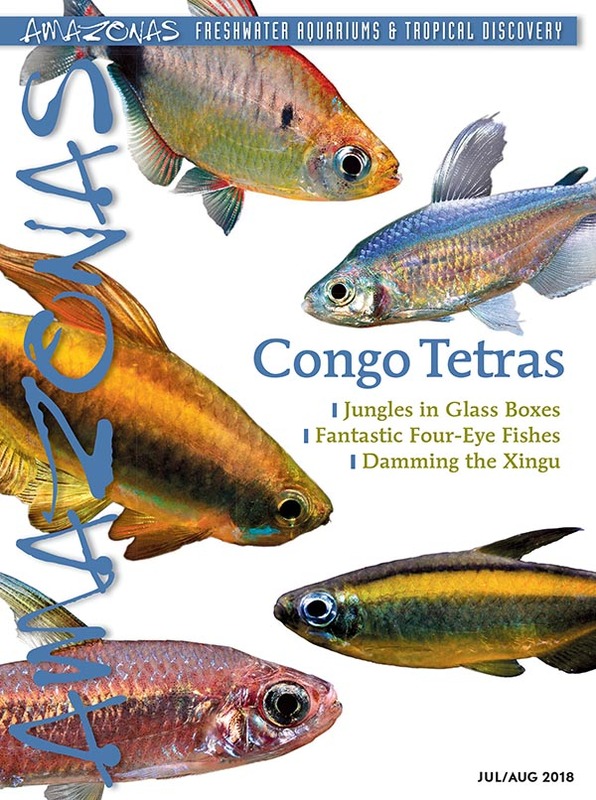 On the cover: a composite of tetras from the Congo, family Alestidae. Images: F. Wang. 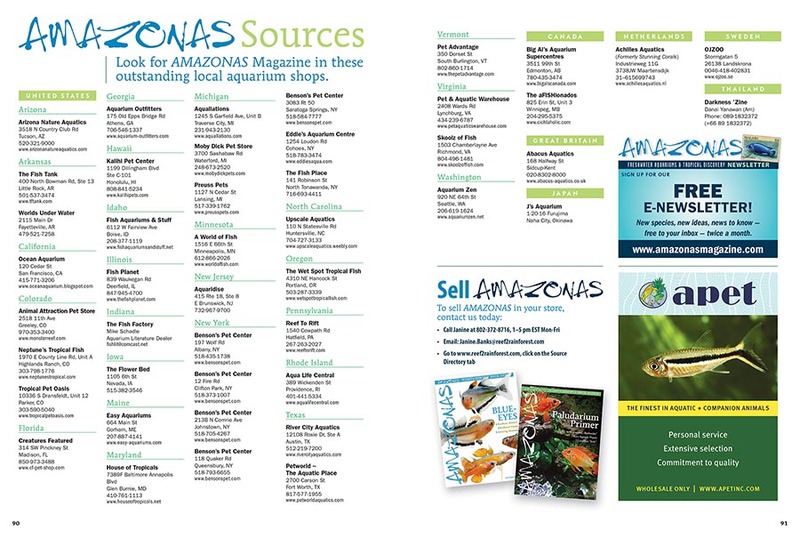 The July/August 2018 Issue of AMAZONAS Magazine is printed and on its way to magazine subscribers, local aquarium shops, and better bookstores. On sale June 5th, 2018. Our Table of Contents for the July/August 2018 issue of AMAZONAS Magazine: your guide for finding cover-to-cover must-read content and exciting features from expert contributors. Read the TOC online here. 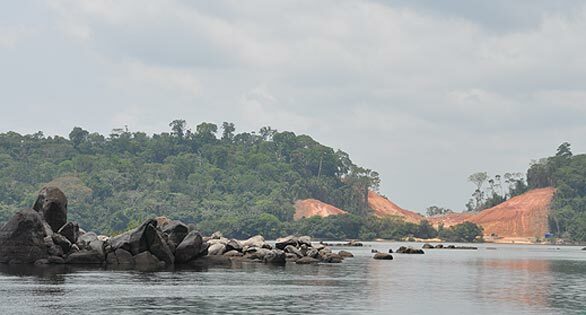 “Both the Democratic Republic of the Congo and the Republic of the Congo, two countries separated by the middle reaches of the Congo River, have become more accessible in recent years, allowing some exporters and travelers to collect little-known species for the aquarium trade and for science. 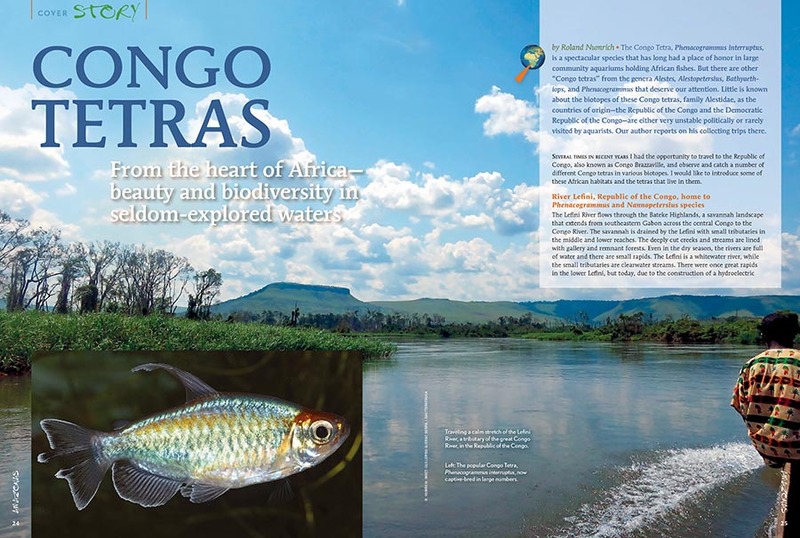 We, the aquarists, are the lucky beneficiaries.” -Hans-Georg Evers, introducing the CONGO TETRAS cover feature in the new issue. Hans-Georg Evers starts our Aquatic Notebook by introducing a pioneering effort by Hudson Crizanto Gonçalves to establish a commercial catfish breeding project in Brazil, initially focusing on the production of highly desirable Pseudacanthicus species, along with other species not currently on Brazil’s “positive list” (approved for wild harvest). Also in this issue’s Notebook: Black & White Stingrays, a cautionary tale and results from our Bloodworm Survey, breeding the freshwater pufferfish Tetraodon schoutedeni, and a new understanding of how fish are able to orient themselves facing into water current, even under the cover of darkness. It’s a Notebook you won’t want to miss! Little is known about the biotopes of the Congo tetras, family Alestidae, as the countries of origin—the Republic of the Congo and the Democratic Republic of the Congo—are either very unstable politically or rarely visited by aquarists. 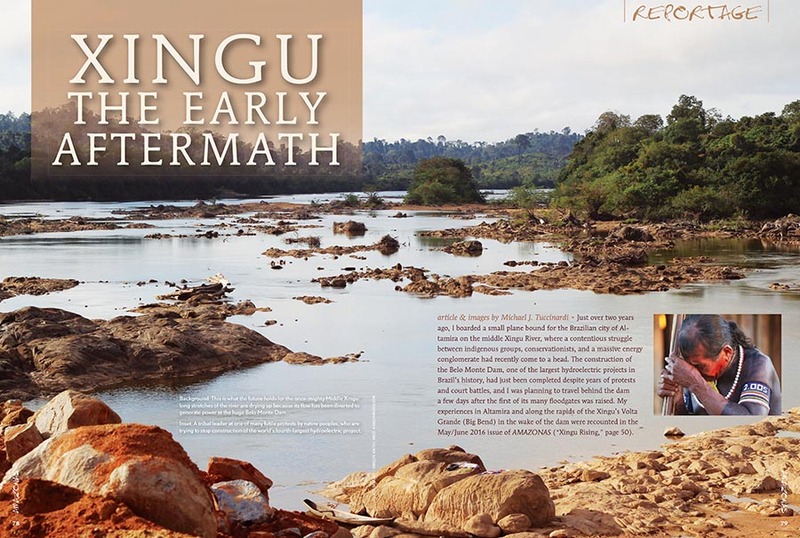 Roland Numrich reports on his collecting trips there. 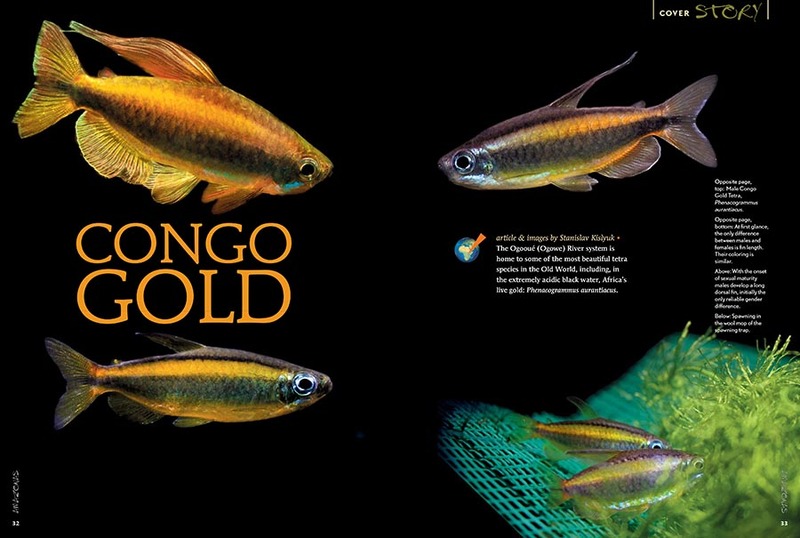 The Ogooué (Ogowe) River system is home to some of the most beautiful tetra species in the Old World, including, in the extremely acidic black water, Africa’s live gold: Phenacogrammus aurantiacus. Stanislav Kislyuk shares his success keeping and breeding the species. 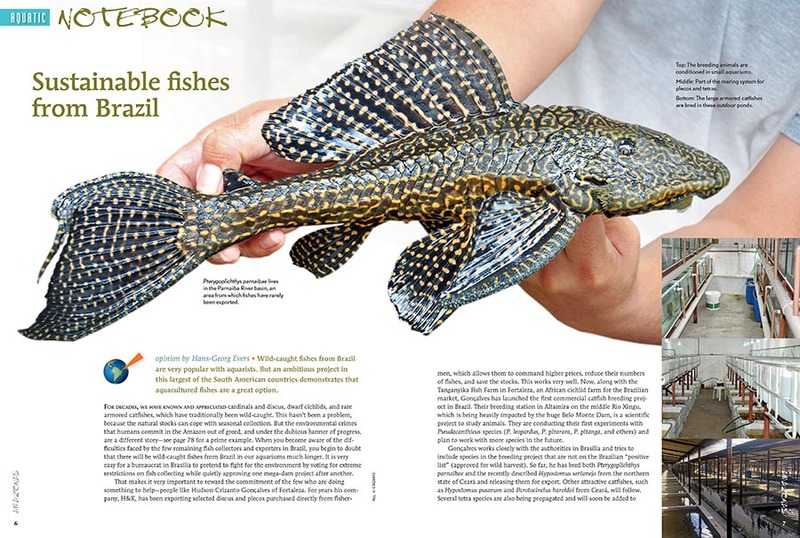 Long-time AMAZONAS readers may remember that in AMAZONAS January/February 2012, our L-CATS issue, we introduced “crazy catfish keeper” Torsten Schwede. He has now dedicated most of his extensive facility to the care and breeding of Congo tetras, family Alestidae. 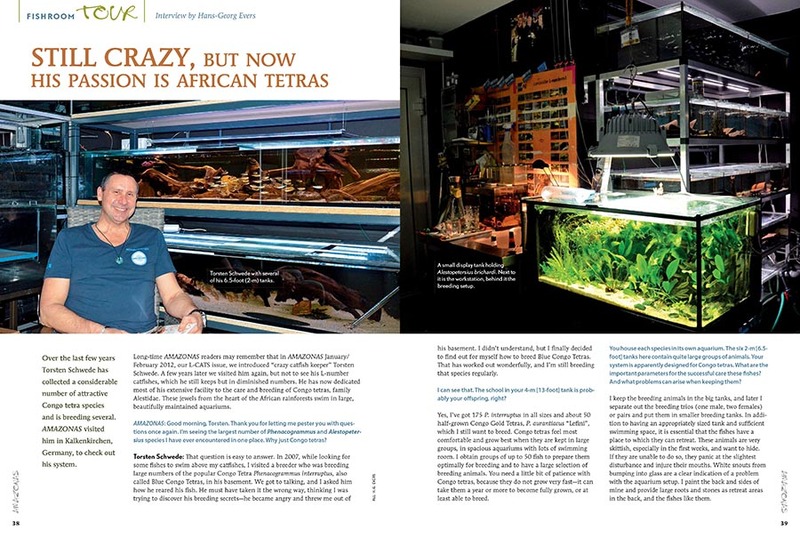 Back in the January/February 2018 issue of AMAZONAS, a vivarium built by Dr. Adeljean Ho was included at the tail end of Sam Rutka’s stunning feature on Paludariums. 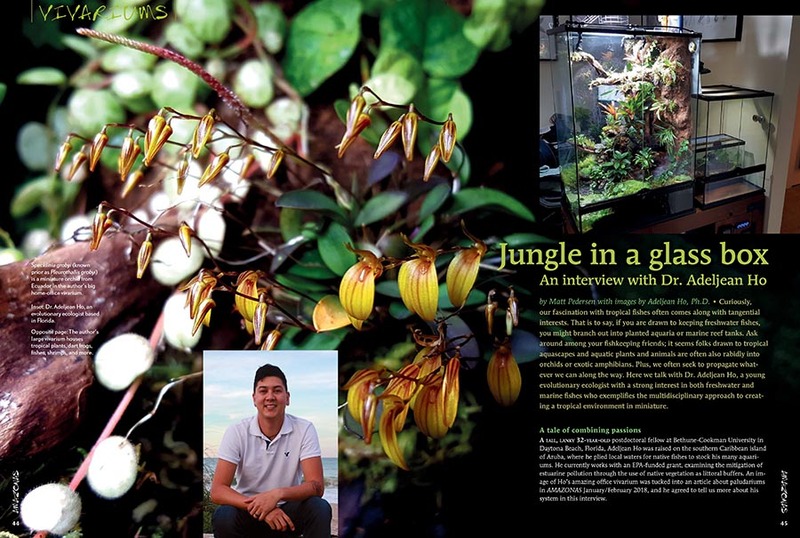 Ho’s work piqued our curiosity; as promised, we return with a feature-length interview to gain insight on how Ho blended his passion for orchids, amphibians, fish, and shrimp into a beautiful slice of the jungle. You can learn even more in the online bonus; the full-length unedited interview with even more photography will be published soon! 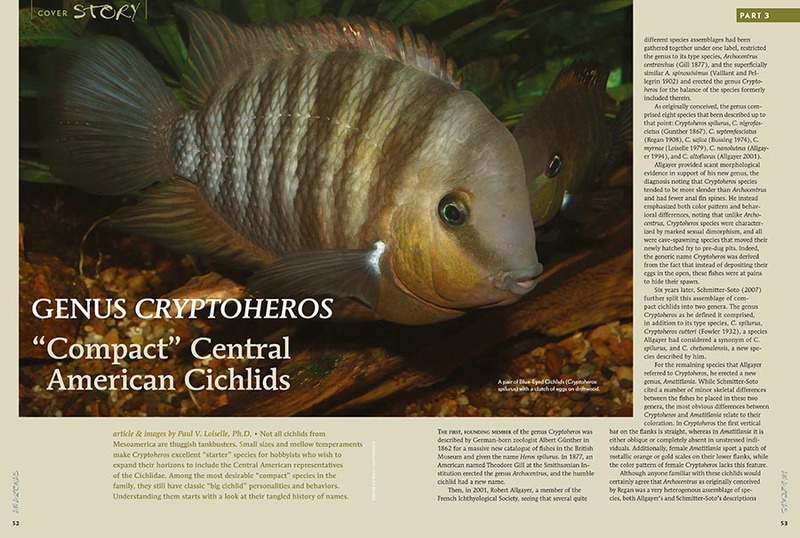 Paul V. Loiselle, Ph.D., suggests that small sizes and mellow temperaments make Cryptoheros excellent “starter” species for hobbyists who wish to expand their horizons to include the Central American representatives of the Cichlidae. Learn more in the newest issue. If you’ve never seen an Anableps, a fish which can see above and below water at the same time, you’re in for a treat. If you have seen them, maybe you’ve wondered how they might fare in an aquarium. 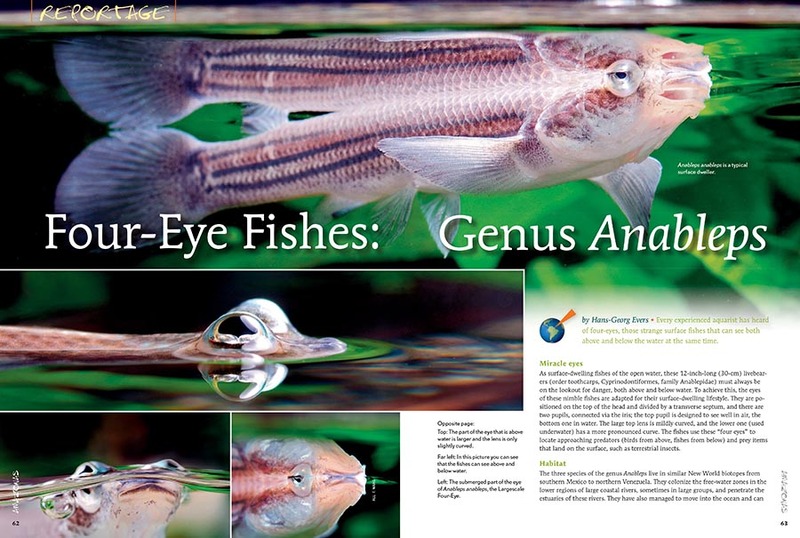 All is revealed as Hans-Georg Evers introduces you to the Four-Eye Fishes. Time to set up your next tank! 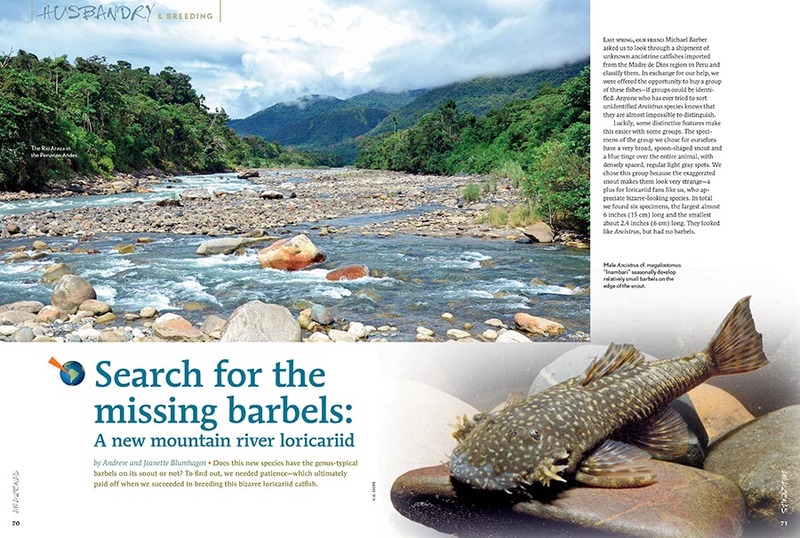 Andrew and Jeanette Blumhagen investigate and breed a bizarre new mountain river loricariid catfish that may or may not have barbels. 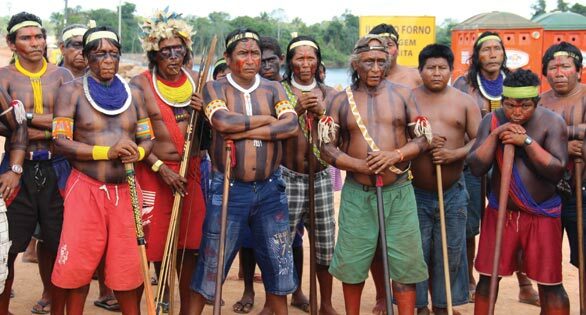 AMAZONAS Sr. Editor Michael J. Tuccinardi reports on the early aftermath of Brazil’s Belo Monte Dam on the biodiverse Rio Xingu. 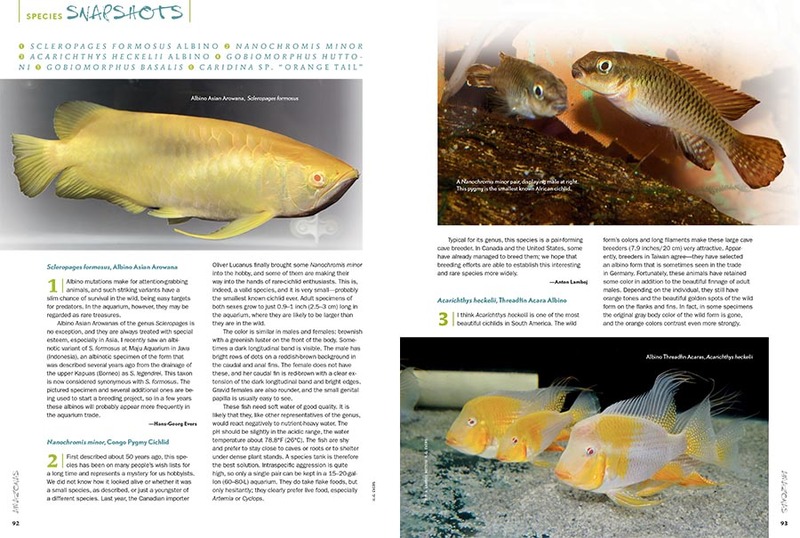 AMAZONAS Magazine’s must-read Species Snapshots illuminates everything new and gaudy, trendy and timeless, or simply overlooked and under-appreciated in the global aquarium trade. 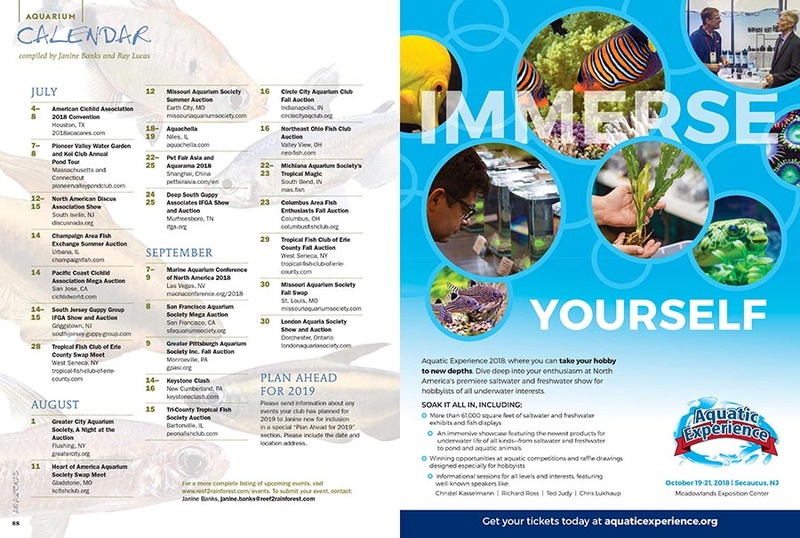 This issue’s installment returns with a wide range of coverage, including a striking Albino Asian Arowana (Scleropages formosus) being put into cultivation; Africa’s smallest known dwarf cichlid, the Congo Pygmy Cichlid (Nanochromis minor); the albino form of the Threadfin Acara (Acarichthys heckelii); two unique freshwater gobies from New Zealand, the Redfin Bully (Gobiomorphus huttoni) and Cran’s Bully (Gobiomorphus basalis); and we close with a recent discovery that may represent a new species, the Orange Tail Bee Shrimp from Indonesia, Caridina sp. 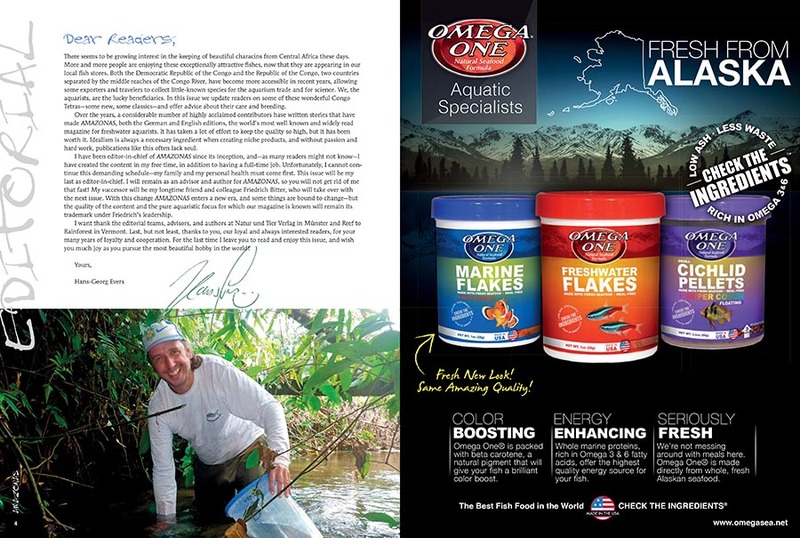 “Orange Tail.” All of this is exclusively in the newest issue of AMAZONAS Magazine.